If you or a loved one have been injured in an accident, whether it was a car, bicycle, pedestrian, trucking, one of our experienced Marysville personal injury attorneys can help. To contact Russell & Hill, PLLC, for a free personal injury consultation. At Russell and Hill, our attorneys have helped thousands of clients file personal injury claims and recover compensation for their injuries. If you or a loved one have been injured in an accident, whether it was a car, bicycle, pedestrian, trucking, or from malpractice, one of our experienced Marysville personal injury attorneys can help. Our team also specializes in injuries that occur aboard a ship, through Maritime Law and The Jones Act. 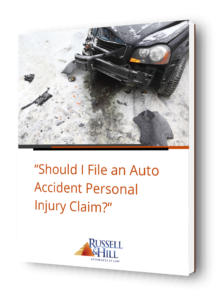 To contact Russell & Hill, PLLC, fill out our evaluation form for a free personal injury consultation. These accidents can turn your life upside down in a matter of seconds. Our team here to help you find the care and finances that you need to recover from the incident. Your injuries from the Marysville accident could be as minor as whiplash or a small disk injury, but they can also be as significant as paralysis or brain damage. In any case, the medical expenses of surgeries, doctors, hospitals, therapy, and medication can begin to start piling up. You have the right to pursue full compensation for your injuries that are the result of another’s negligence or intentional harm. Some injuries are severe enough that they keep victims bedridden or hospitalized for long periods of time. Left unable to earn money and with medical bills accumulating rapidly, victims often begin to feel like they’ll never make headway. With a personal injury claim, you can calculate your lost wages and list them among the damages, giving you the chance to be reimbursed for the wages lost during treatment. Compensation can also be obtained for future lost earnings for those who have sustained injuries that have rendered unable to continue in their current line of work. Any damaged property that has not been covered through auto or home insurance can be accounted for in a personal injury claim. This ensures that any of your property that was destroyed or harmed in the incident will be replaced or restored. Personal injury claims can be difficult to handle without the help of an experienced personal injury attorney. 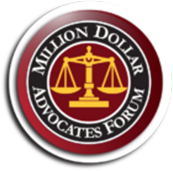 The amount of time that must be devoted to collecting evidence, listing and calculating damages, meeting with experts, doctors, and insurance companies can get overwhelming for victims and their families. Meet deadlines on reporting and billing. Collect evidence and eyewitness testimonies. Find proper medical care for the victim. List damages and develop the claim. Present your claim to the insurance company. Present your case to a jury, should the insurance company be unwilling to negotiate. Educated: The best and most reliable personal injury attorneys are those that have limited their practice to specialize in personal injury cases. At Russell & Hill, our attorneys are educated and trained to handle a variety of personal injury cases with expert knowledge and professional skill. Personal: At Russell & Hill, meeting your needs is our highest priority. We understand that the situation you are in right now is difficult and we want to hear your side of the story. In the end, we will do our utmost to ensure that you attain the compensation you rightfully deserve and are set on the road to full recovery. 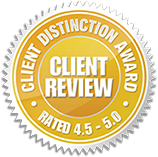 Successful: Our previous Marysville clients can attest to the fact that our attorneys are confident, responsible, and prepared to fight for your claim. Out connections with doctors and experts give us the resources necessary to create a strong personal injury claim. The days, weeks, and months following a serious Marysville accident can be traumatic and painful. 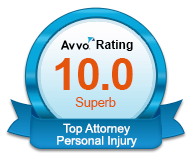 If you are considering filing a personal injury claim, you should be sure your case is in good hands. At Russell & Hill, PLLC our attorneys can provide you with the services you need to get full and fair compensation for your injuries. To contact our personal injury attorneys in Marysville, call us or fill out our contact form for a free initial consultation.